Is it worth taking up film extra work? Are you a struggling artist who has been offered film extra work? Do you want to know whether it could be worth taking up extras work? Well, the answer to this would depend on what you are actually expecting out of it. If you are seeking to develop a consistent living out of the extras work then the answer probably is no. Film extra and tv extra job is not a regular occupation and you can not expect a steady salary out of it. Most probably, you will be offered the extras work for a particular scene or a sequence. In very rare cases, artists are employed for an entire film or television series. You will find yourself performing alongside college going students, retired individuals, and those without any job. People look at extras work as a means to earn something during their free time. It is therefore a risky type of living. Even the salary that is offered for film extra and tv extra work is not much. Payments can be as low as £67 and can vary depending on the kind of work, duration, and on the production house. There is yet another problem with film extra work. These days, most films are shot at beautiful locations. Film companies hardly pay travelling costs to the extras. Then extras have to bring their own costumes, wigs, make up, and props that are required. So, if you can afford to pay for the travelling expenses, as well as other expenses for doing extras work, only then you should think of taking up extra work. 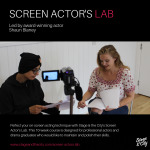 However, if you are interested in gaining some work experience to enhance your acting career prospects or you are excited to perform on large screen next to well known actors, it could be worth taking up film extra role. Most people look at film extra and tv extra work as an essential stepping stone to full-time acting career. Extras work teaches actors a lot of things that are not taught to them in their schools and colleges. When working as extras, they understand the true meaning of values like patience, obedience, humility, and respect. Furthermore, for extras work, film production houses very rarely conduct auditions. Plus, there is no fixed criterion for extras roles. You can get film extra and tv extra work even if you are tall, short, fair, dark, bald, ugly, or beautiful.